Mount Rigi is known as the Queen of the mountains and it’s clear to see why, when you go on this scenic walk. 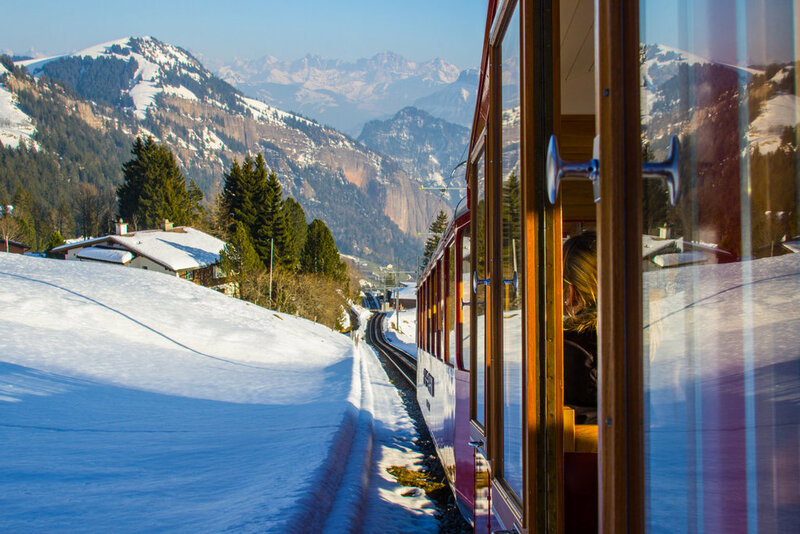 It offers an authentic Swiss mountain experience, with unforgettable views of over 13 lakes and the spectacular snow-capped Swiss Alps. Available all year round, Mt. Rigi continues to attract thousands of hikers every year, as it has for a long time. Don't miss a chance to have a walk there. This walk is a must on the itinerary of any first time visitors to Mt. Rigi. Starting from Rigi Kaltbad (literally, Cold Bath), hikers usually take a funicular from Weggis. There's a large parking area near the funicular station in Weggis. I suggest you buy a day ticket, which allows you to use the cableway as well as cogwheel trains on the mountain. The day ticket price is 68 CHF. Rigi Kaltbad is famous for the SPA complex apart from many other great things. This photo was taken right above the outdoor warm pool. This trail is the classic Rigi walk from Rigi Kaltbad (1,433m a.s.l.) to the highest point Rigi Kulm (1,798m a.s.l.). You could also take a train to the top and hike down, saving some energy for more adventures later. Luckily, Rigi has endless walking opportunities. The path is well maintained and open, offering spectacular views all year round. Depending on the season you get either winter hiking, either just hiking. A view from Rigi Kanzeli viewpoint. It is a very popular lookout with an Alpine panorama and view of Weggis and Lucerne. Right in the middle you see another legendary destination, Mountain Pilatus, the dragon's mountain. We're approaching Rigi Staffelhohe where the railways join before the final climb to Rigi Kulm. The Rigi railways are spectacular inside and outside. Here is the final destination of this walk, the Rigi's summit.